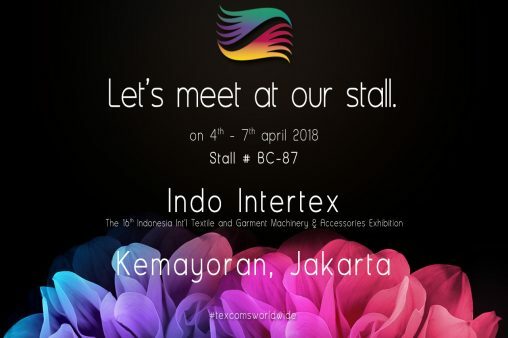 The latest offerings from digital textile printing solutions providers continue to advance this fast-growing area for textile decoration. Digital printing technologies are rapidly increasing and improving, and are slowly changing the face of the textile printing industry. At ITMA 2015 held in Milan, the growth in digital textile printing was apparent as organizers added a chapter dedicated to printing and digital printing technologies, auxiliaries and accessories to the show’s lineup. In “The Future of Digital Textile Printing to 2021” market report, England-based Smithers Pira forecasts 17.5-percent growth over the next five years for the digital textile printing market to a total market value of $2.66 billion. 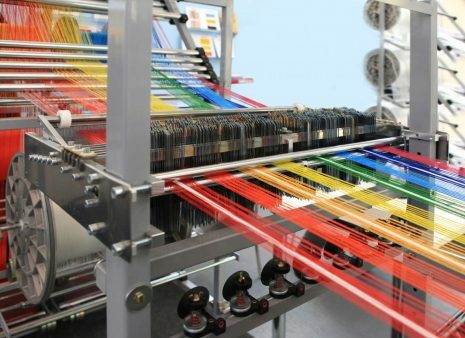 In the same report, the market intelligence, testing and consulting firm estimates 870 million square meters of fabric worth $1.29 billion were printed in 2016 using digital technologies, which represented just a tiny 2.8-percent slice of the overall volume of printed textiles. As digital technologies improve, more and more traditional textile printing companies are looking at the benefits of digital printing, which include shorter lead times, customization options, improved design aesthetics, workflow efficiencies and cost reduction. 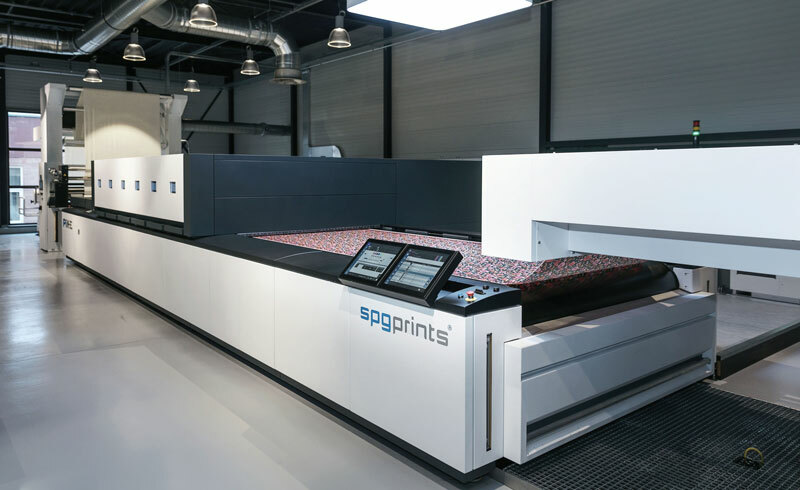 To support the production of digital inks, The Netherlands-based SPGPrints opened a 1,000-square-meter (m2) addition to its headquarters location during the final quarter of 2017. The addition is part of an 8-million-euro total investment plan covering 3,000 m2 of additional space, and represents the second expansion at the facility in two years. The company also opened the Experience Center, a 700 m2 demonstration and training facility dedicated to innovation in digital textile printing. The center houses two 1,850-millimeter-wide single-pass PIKE® printers — SPGPrints’ flagship printer engineered for large or short volume production at speeds of up to 40 meters per minute — in addition to a 3,200-mm-wide JAVELIN® multi-pass printer for home furnishing applications. According to the company, the center acts as a showcase for suppliers and buyers to learn about digital production using SPGPrints’ technologies. Standfast & Barracks recently installed two Durst Alpha 190 systems, which comprise a super high-performance multi-pass printer and the One-Step Pigment Ink Greentex P. The Alpha 190 can be configured in a variety widths and set-ups for fashion garments and apparel, home textiles and upholstery applications. The environmentally friendly One-Step pigment ink was developed for the Alpha Series and is based on the Durst Water Technology.Italy-based Durst Group recently announced a partnership with England-based fabric printing company Standfast & Barracks for a Centre of Excellence. The center will be located at Standfast & Barracks’ headquarters in Lancashire. Long Beach, Calif.-based Epson America Inc. recently announced a partnership with Portsmouth, N.H.-based CIT Group to offer streamlined financing options to commercial and digital print customers. According to Epson, this collaboration will simplify the financing process and make for a more straightforward customer experience.